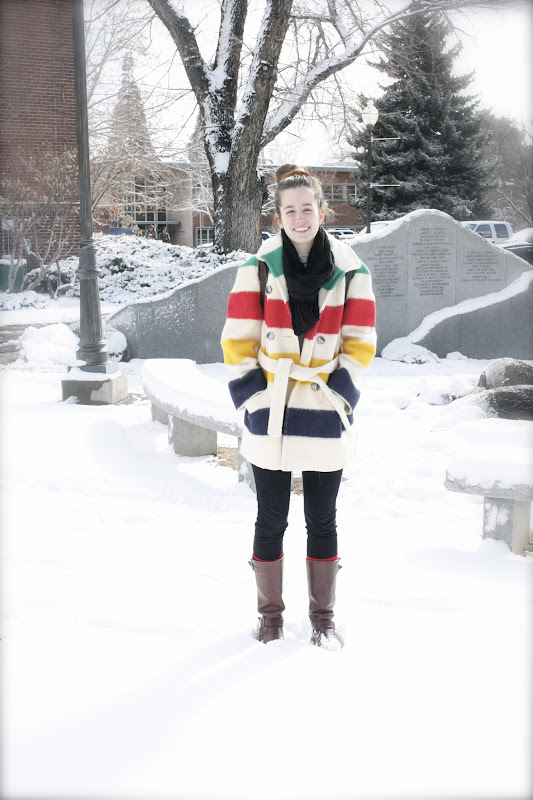 I didn't wear the greatest outfit today but the snow made for a good picture and this jacket is quite a jem. For those of you vintage junkies, it's a Hudson Bay Jacket and I got it for only $5 at a garage sale... score! It's probably one of my warmest jackets. I'm also wearing a circle scarf that, sadly, lost its life in the dryer (I don't think its supposed to be machine dried) needless to say, I think I'll have to let go and throw it in the trash... its looking a little too dull. Again, not the greatest outfit, just a good photo op!